If you would like to make a donation to Aidan’s Elephants, you can do so by Paypal, Cheque or Bank Transfer. Thank you so much for your support. Sadly the majority (but not all) of the donations we receive are in honour of a child that has died. Every penny donated is put towards supporting another family who is beginning their journey of grieving for their child. When you make a donation to Aidan’s Elephants, you are giving the gift of hope and comfort to a grieving family. If you are making a donation in honour of your child – please tell us his or her name. Be proud of their story, and know that it is important to us. Each of our Memory Boxes costs around £21 to make. We donate all our time and every penny donated is spent on supporting bereaved families. We regularly donate funds ourselves, especially at Christmas and on our son’s birthday. 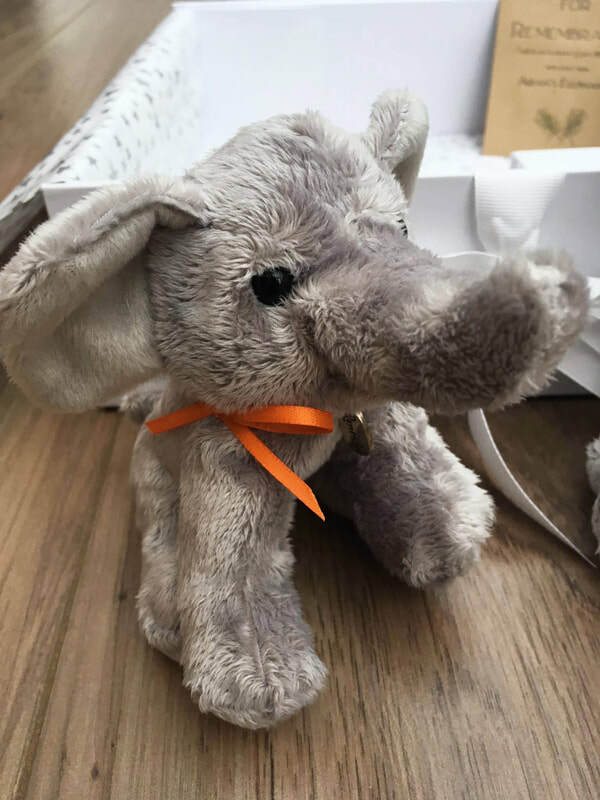 We hope that our boxes will help parents to create precious memories with their little one, and our website will provide them with easily accessible help and support, as and when they need it.